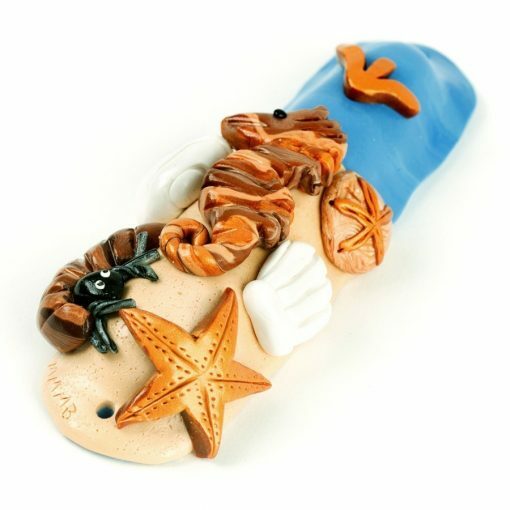 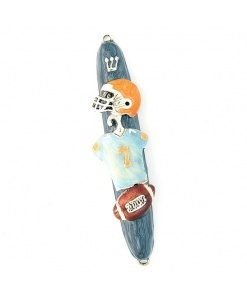 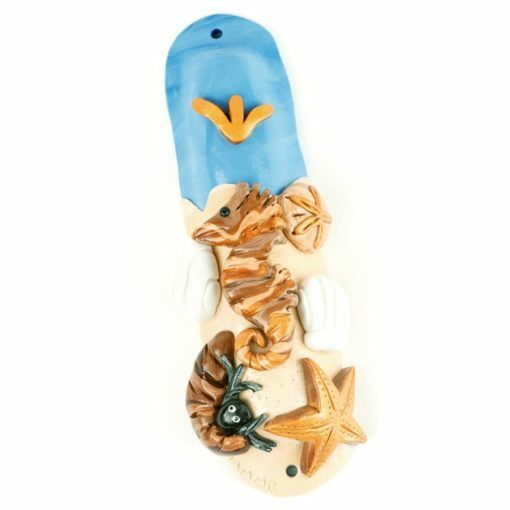 The Beach Mezuzah Case for the Beach lover is unique and creative in design and is sure to be a conversation piece. 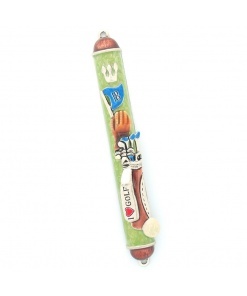 Each Mezuzah is hand made of polymer clay and made in the USA. 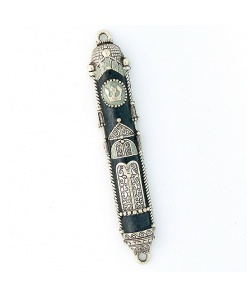 This Mezuzah has two scroll size options; Small (2.75″) and Extra Small (2.3″). 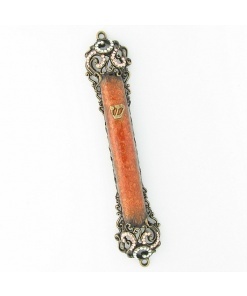 The Small size scroll will fit the mezuzah but will not be waterproof. 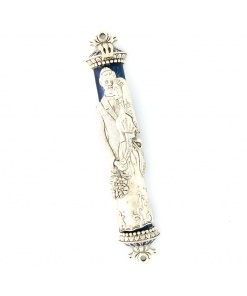 The Extra small size scroll will come enclosed in a sealed tube. 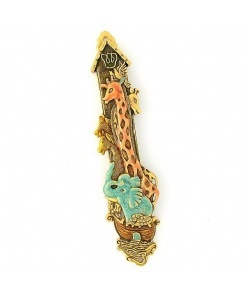 So excited for our new beach themed mezuzah to match the beach theme in our new home! 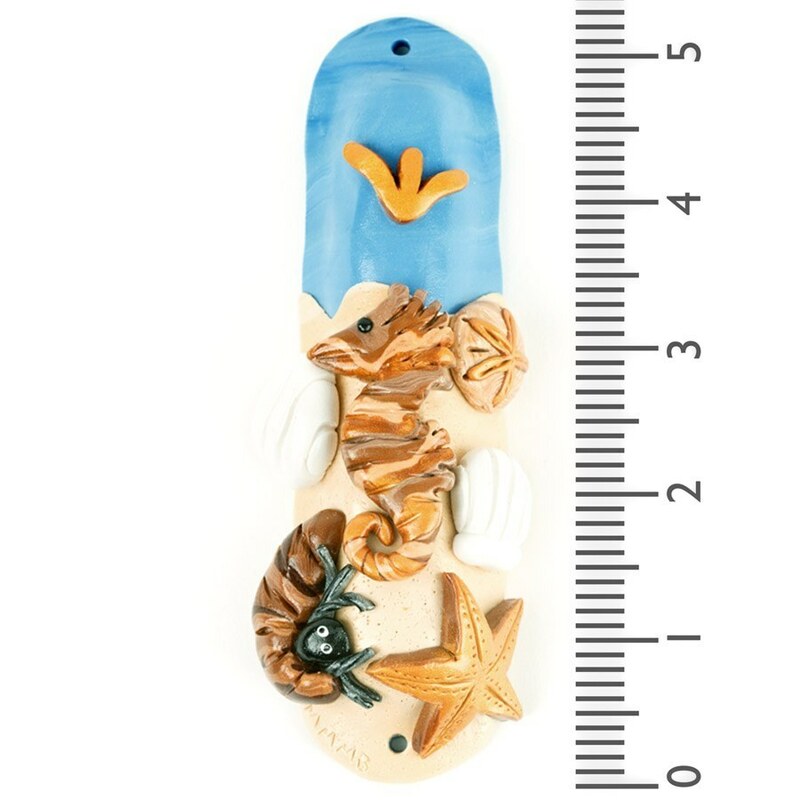 I love my beach theme Mezuzah ..